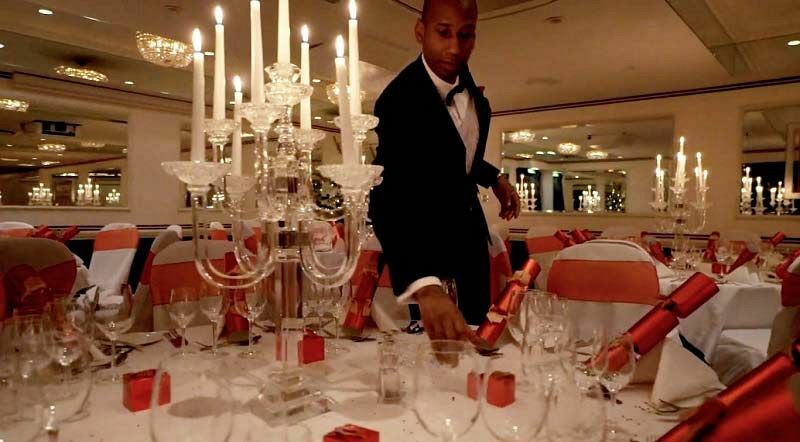 Make your company Christmas lunch one to remember with a celebration at this fantastic venue that features its very own festive ski lodge. You and your team will enjoy an exclusive afternoon party, that includes mouth-watering food, drink and great company. 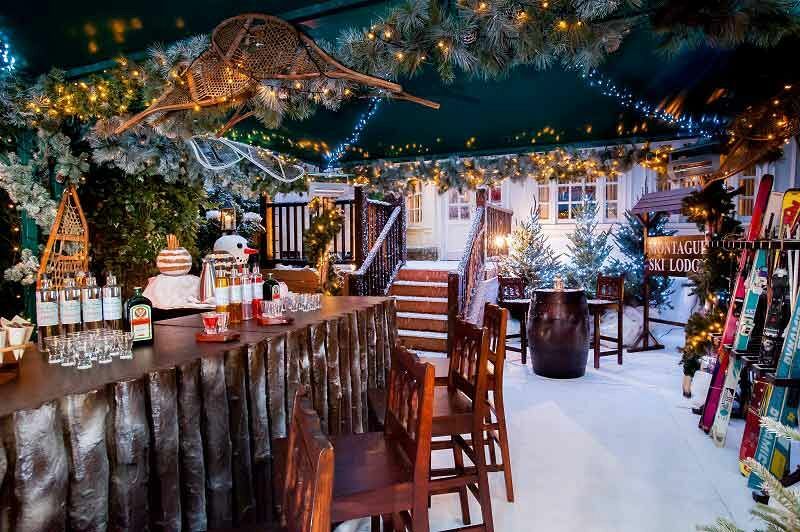 So hang up your ski boots, come in from the cold and prepare to relax in this incredible festive oasis! Guests will be welcomed on arrival and provided with a warming glass of mulled wine or spiced cider to get things started in style. Catch up with friends and colleagues as you take in the beautiful fairy lights and lanterns and admire the alpine set up, which includes pine trees, reindeer, snowmen, piste maps, ski racks and falling snow. Don’t forget to purchase a drink from the centerpiece bar which offers a range of vodka and schnapps in addition to plenty of other choice. Indulge in a sumptuous festive lunch buffet and immerse your senses! Each guest will enjoy an unlimited hotel selection of red and white wine, bottled beer and soft drinks for 3 hours. Freshly brewed tea coffee and mince pies will be served to conclude the dining experience. A DJ and disco will be provided for those groups that meet a minimum spend of £10,000. Fancy getting cosy? If so, make your way to the log cabin for a chilled, atmospheric experience which features a stunning decorative fire, Christmas trees and cosy armchairs that come with blankets. 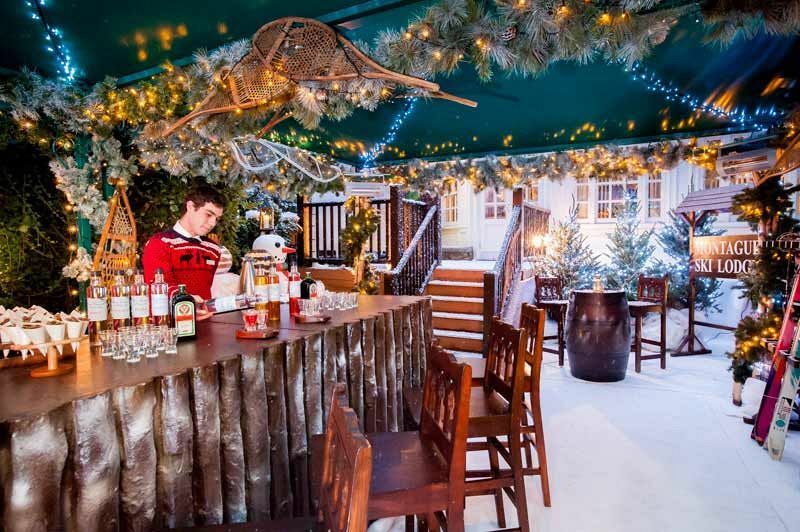 This unique venue is the ideal place to enjoy a Christmas lunch party with your team and the perfect excuse to leave the office early for a magical winter atmosphere that’s filled with fun! Book your exclusive lunch party dates today to avoid disappointment!